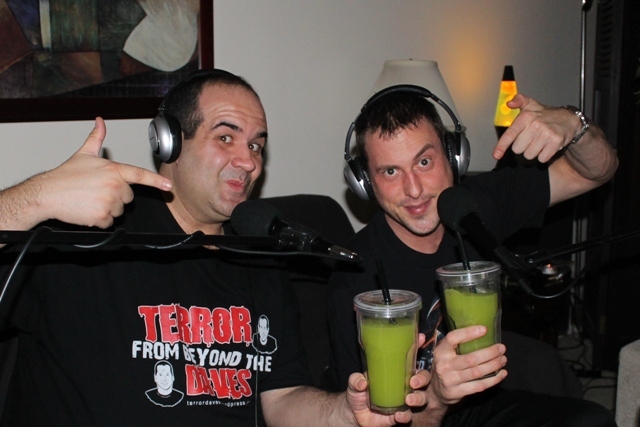 Massacre Movies & Maragritas Podcast! Twenty years before I met the other Terror Dave (David Albaugh), I became friends with a charismatic guy named Jason Lucas. We worked together at a local grocery store back when we were teens and I remember stocking the shelves, him strolling past me with a flop mop as we’d discuss Halloween‘s Michael Myers. It was 1988 and the franchise was returning to its Myers roots after his absence in the previous installment, Halloween III: Season of the Witch. We were excited by both this news as well as the realization that we were now old enough to bypass our conservative parents and see him on the big screen. By the summer of 1989 we became close friends and were pretty much inseparable the remainder of that year. Jason loved horror as well as KISS music and provided me with an education on both. He’s also a talented musician and, through him, I’d live out my Svengoolie fantasies as I’d write parodies of KISS songs that revolved around the place we worked at. I’d often provide main vocals while he was my “Doug Graves” on the keyboard and back-up. My lack of vocal skills was pretty evident but we had a lot of fun regardless. I’d always loved monster movies and old school horror but, thanks to Jason’s collection of VHS tapes as well as our local “mom and pop” video stores, our nights would be full of laughs and (after we came of age) alcohol as we’d view rare and wonderful gore-fests; many a lot funnier when under the influence. As the years went by we’d start doing MST/Riff-Trax style taped commentaries while watching these type of movies. It was always for our own entertainment but was a guaranteed great time! In November of 2008 I asked Jason if he’d like to participate in a comedic project called “Terror on Tequila” where we’d discuss “1 Star” films made “4 Stars” with just the right amount of…ahem…beverage of choice. The next year I worked rigorously on researching films and working on reviews in preparation but the constraints of Jason’s job meant it was harder for him to participate. By the end of summer, it didn’t seem like the dream would ever be realized. Then in September of 2009 I met David Albaugh on the Svengoolie YAHOO forum and both of our lives would be forever changed. David’s interests (horror and otherwise) were as diverse and virtually the same as mine; including our fandom of vintage monsters and horror hosts. We had a special fondness for our childhood host, Svengoolie, who’d brought us together as pals in the first place! Finally finding someone that was so completely in sync with my own monstrous tastes was a Godsend to me and it wasn’t long before we became the best of friends as well as major catalysts in other aspects of each others lives. Nine months later, “Terror on Tequila” became “Terror from Beyond the Daves” and The Terror Daves were officially born. Nearly three years and a Rondo Award later…we’re still going strong and remain best friends. When our pal (and pog artist extraordinaire), Brian Maze, suggested a year ago that we start a Terror Dave pod-cast show in addition to the blog, I was interested in giving it a shot but knew that David would not want to participate. Brian, on the other hand, didn’t mind the idea of us doing a couple of shows together but nothing on a regular basis. Jason and I had already spent years of unorthodox fun behind a microphone together and, as a musician, he’s never shied away from performing. He’s smart, witty, and a great communicator. I knew on the day Brian made the suggestion that he’d be the ideal partner for this type of endeavor. We discussed the idea and he readily agreed…we’d begin almost immediately that same week! The Terror name would go full circle as “Terror on Tequila” would survive after all; in the form of our very own podcasted show…the first of which we’re presenting TODAY! Our first one deals with “Massacre” movies and I don’t necessarily mean the Texas variety! This was taped on New Years Eve virtually off the cuff with movies we randomly selected from Jason’s film library. So, without further adieu, grab a cocktail (if you’re not comfortable drinking, by all means grab a virgin instead…hehehe) and enjoy our send up to Massacre films! This includes a discussion on The Nail Gun Massacre, Harpoon Whale Watchers Massacre, Slumber Party Massacre, and Class Reunion Massacre! We’ll dish on the golden era of slashers as well as our take on the latest Texas Chainsaw Massacre 3D! This and all future shows will be archived in the “Terror on Tequila” banner that our good friend, Richard Braden, was so kind to throw together, and also the upper right of our main page. To comfort the disturbed and disturb the comfortable….get ready for Terror on Tequila! This entry was posted in Big 80's Horror!, Podcasts! and tagged CLASS REUNION MASSACRE, MASSACRE MOVIES, NAIL GUN MASSACRE, SLUMBER PARTY MASSACRE, TEQUILA, Texas Chainsaw Massacre, TEXAS CHAINSAW MASSACRE 3D. Bookmark the permalink. 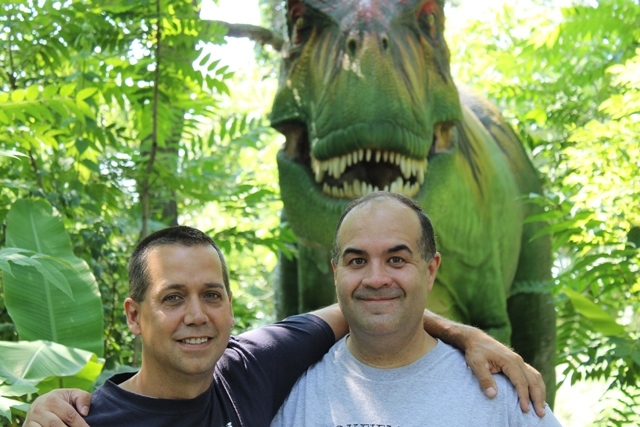 ← Giant Insects Attack Chicago’s Brookfield Zoo! Great job, guys! I really enjoyed this first episode, particularly your discussion of Slumber Party Massacre, which we enjoyed watching this past October during my annual Halloween movie marathon. Except for Texas Chainsaw 3D I haven’t seen any of the other movies you mentioned but I’m now looking forward to checking them out. Keep up the good work. Thanks Patrick! We really appreciate your feedback and hope that you’ll check out those other titles!